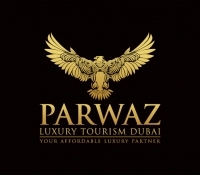 Parwaz Luxury Tourism is a licensed Tourism company located at the heart of Dubai and registered in Dubai Department of Tourism and Commerce Marketing. We are looking for a professional Sales Executive must be Philippine or Russian nationality in the field of Travel and Tourism in UAE. He/she will work as a Sales Executive or Travel Consultant. Promote Parwaz Luxury Tourism's services to existing and new accounts and individual client. Make sales call to acquire new and additional clients. Maintain excellent relationship with customers and provide support and assistance to all travel needs. Maintain and provide regular reports in prescribed formats. Ensure sales target are met in coordination with other team members. Keep the Manager informed about competitors and market trends/practices and complaints if any. Description We are looking for a professional Sales Executive must be Philippine or Russian nationality in the field of Travel and Tourism in UAE. *Excellent presentation, communication and negotiation skills. *Can work with minimum supervision. *Customer service and goal oriented.